AWS Direct Connect makes it easy to establish a dedicated network connection from your premises to AWS. 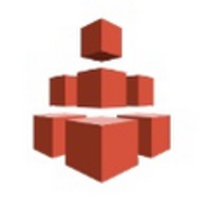 Using AWS Direct Connect, you can establish private connectivity between AWS and your datacenter, office, or colocation environment, which in many cases can reduce your network costs, increase bandwidth throughput, and provide a more consistent network experience than Internet-based connections. Reduces Your Bandwidth Costs – If you have bandwidth-heavy workloads that you wish to run in AWS, AWS Direct Connect reduces your network costs into and out of AWS in two ways. First, by transferring data to and from AWS directly, you can reduce your bandwidth commitment to your Internet service provider. Second, all data transferred over your dedicated connection is charged at the reduced AWS Direct Connect data transfer rate rather than Internet data transfer rates. Consistent Network Performance – Network latency over the Internet can vary given that the Internet is constantly changing how data gets from point A to B. With AWS Direct Connect, you choose the data that utilizes the dedicated connection and how that data is routed which can provide a more consistent network experience over Internet-based connections. 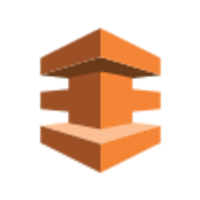 Compatible with all AWS Services – AWS Direct Connect is a network service, and works with all AWS services that are accessible over the Internet, such as Amazon Simple Storage Service (Amazon S3), Elastic Compute Cloud (Amazon EC2), and Amazon Virtual Private Cloud (Amazon VPC).